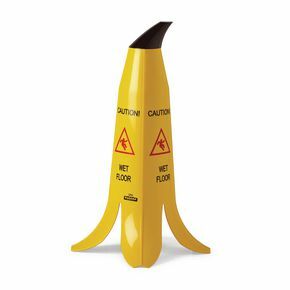 The Banana Cone© is a safety cone. Black and red warning message on all 4 sides. 600mm weighs 900g with a sturdy base. 900mm weighs 1300g.